A 14 week old Jackapoo who is fun, full of life and a very bright girl. 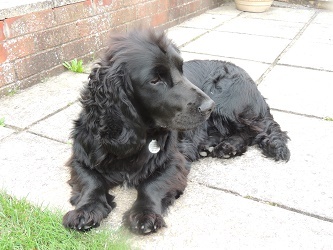 Bailey enjoys walks in Weymouth, Wareham and the surrounding area and would recommend Wareham Forest as a great dog walking site. During the spring & summer months we’re asked by local Rangers to inform people about where they need to be aware of birds nesting on the grounds on heaths or other specialised habitats – in autumn and winter it’s the birds who flock to our Dorset coast who need extra care…. The flocks may be exhausted and hungry after long journeys or simply trying to survive the winter so we can help by keeping our distance and making sure our dogs do too, so they can feed and rest in peace. 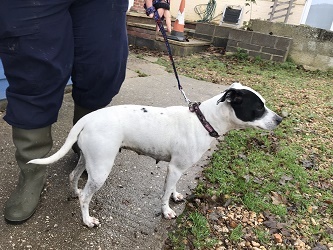 Bella is a Staffordshire Bull Terrier from Wareham who walks at Corfe Common and Arne. Frances told us that Bella is a rescue dog from Margaret Green and is doing really well. Tilly is an 18 month old Border Collie who regularly walks at Whitecliff, Sandbanks, Branksome Chine and Badbury Rings. Christopher says Tilly is totally focused on a ball and would go past a 100 dogs without noticing them. 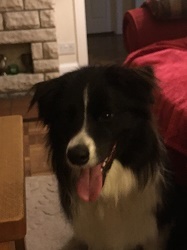 This 4 and a half year old Border Collie is not interested in tennis balls or footballs – no this is a rugby ball dog! Gruff enjoys regular walks at Baiter Park and Whitecliff and would recommend the beach in the Winter and Blakehill Woods as great places to walk with your dog in Dorset. Buddy the Cocker Spaniel loves water so anywhere with a river or by the sea and he is in his element. Buddy likes to walk at Hengistbury Head, St Catherine’s Hill and the parks in Salisbury and would recommend anywhere along the Jurassic Coast as a great dog walking site. 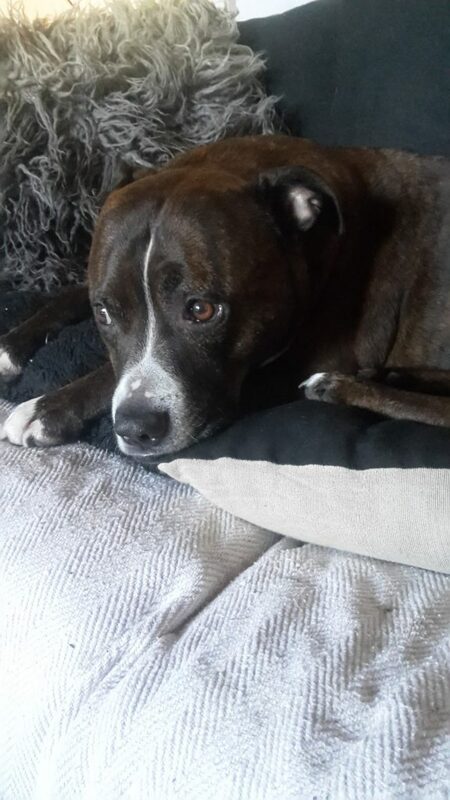 Lucca is a 7 year old Staffy cross from Poole who regularly walks at Upton Heath, Lytchett Bay and Lake View. Christine told us that Lucca is a loyal, loving dog. He is nervous of other dogs due to being attacked in the past, but given space he likes to run freely and jump in water whenever he has the chance. There is information about the Yellow Dog Scheme on the Wagipawdia. Millie is a 7 year old Cockapoo from Dorchester. Sheenagh told us that Millie loves swimming in the sea with her and enjoys walks at Poundbury Camp and on Weymouth Beach. Roxy is a Border Terrier who loves playing ball and rolling in the grass and mud. This 9 year old regularly walks at Baiter and Whitecliff Park and on Upton Heath and would recommend Upton Country Park as a great dog walking site in Dorset. Ruby is an 11 month old Border Collie. Ruby loves other dogs and is very playful. She enjoys walks at Upton Country Park, Ham Common, Creekmoor and Upton Heath. If your dog is not a member yet you can find out about the Doggy Do Code and join here to receive your free members pack. New members who’ve already used the ‘Join us’ form or who joined at pit stops – if you didn’t send in a photo remember you can always add your photos later, just send to: dorsetdogs@dorsetcc.gov.uk with your name and a bit about your dog and/or where you like to walk. Don’t forget we’d love to see you in the photo too! Don’t forget we’d love to see you with your dog in the photos too!